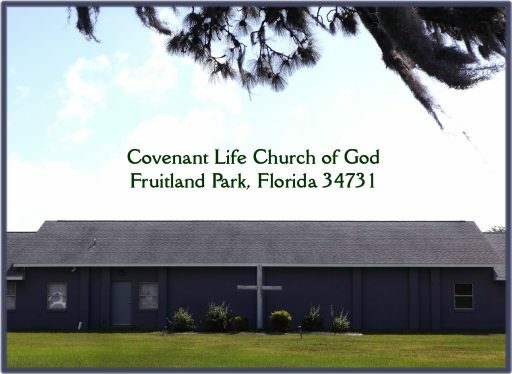 Covenant Life Church of God welcomes you to join us. We are a local congregation who love God and desire to grow in fellowship with Him and with our fellow believers. The Holy Spirit is welcome in our midst to lead and guide us according to the will of God. Our heart cry is follow Jesus Christ in obedience to His Word. We welcome all of those who are hungry for more of God. We are seeking His will for our lives and our world. We are here to be a community of caring, worshipping believers who connect with one another and with those who are not believers for the purpose of sharing God’s love with them through acts of kindness, prayer and the presentation of the Gospel of Jesus Christ. All are welcome to join us in intercessory prayer and a time of personal worship and quiet reflection before the Lord Jesus Christ. Making prayer a focus is following the leading of the Apostle Paul, who told us to “pray without ceasing” in 1 Thessalonians 5:17. Our Pastor’s admonition for the church is to be a Prayer Bastion. We are the ones standing on watch and praying over the needs of others.